Why Has Blue Jays’ Rotation Struggled So Far This Season? Coming into the season, the Blue Jays’ rotation was thought to be a strength of the team. But 48 games into the season, the opposite has proven true. The Jays’ rotation is currently wearing a 5.44 ERA (4.81 FIP) that ranks 26th in baseball. With over 100 games left on the schedule, there is certainly enough time for the Jays’ starters to turn things around. Using some peripheral stats, let’s take a look what has been causing the some of their problems so far this season. When the Jays signed Jaime Garcia, the team likely believed they were getting a groundball specialist to fill their fifth rotation spot. But Garcia hasn’t been generating the grounders the way he was expected to. 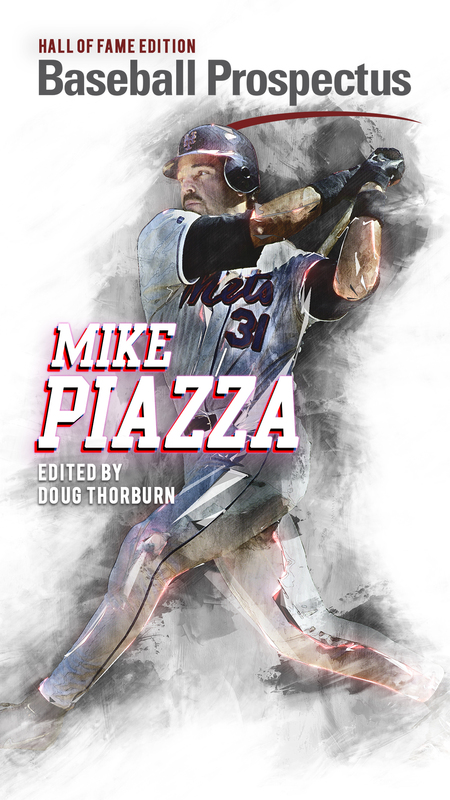 His 38.6 percent groundball rate is far lower than both his 54.8 percent rate last year and his career mark of 55.6 percent. With Garcia not keeping the ball on the ground, he is surrendering more home runs than he has at any point in his career. He’s also allowing more hard contact — his average exit velocity allowed this season is 90.8 mph, up from from 86.7 mph last season. What might be causing this recent lack of success? Garcia’s velocity does look to be down slightly – his average fastball velo sat at 91.3 mph last season, but is down to 89.9 mph this season. His sinker, slider and changeup are all down around one mile per hour as well. But these drops don’t appear to be significant enough, especially over only eight starts, to warrant a major concern or a change in skills. His pitch mix looks relatively similar, though he is throwing slider slightly more often and his changeup slightly less often. The key with Garcia looks be the grounders and the walks. He’s walking more batters than usual, with a 4.89 BB/9 versus 2.85 for his career and 3.67 last year. It may be that Garcia had been fighting through his shoulder injury before being placed on the disabled list last week, as an increased walk rate can suggest a pitcher isn’t quite right physically. Garcia’s shoulder injuries are not new — he missed time in 2012 with a cartilage injury and had surgery to repair a torn labrum in 2013. If he can keep the ball on the ground and in the strike zone, he should look a lot more like the pitcher he has been to this point in his career. But because Garcia’s left shoulder has been an issue in the past, he might not be out of the woods just yet. While not struggling to the same extent as some other members of the Jays’ rotation, Aaron Sanchez certainly hasn’t been the ace Jays fans saw in 2016. Sanchez hasn’t been getting unlucky in terms of his strand rate, home runs or balls in play, and he’s still generating plenty of groundballs. But one very obvious problem for the righty is that he’s been walking more hitters than expected, issuing 29 walks in 50.1 innings pitched this season. Control issues are not new to Sanchez: He struggled with free passes throughout his minor league career, and aside from his breakout 2016 season, he’s always had a walk rate above league average. What’s particularly surprising about Sanchez’s recent struggles is that he has been working on integrating a changeup into his pitch mix. This new pitch yielded excellent early results, and is still generating the lowest wOBA (.245) of any of his pitches. It’s hard to know if Sanchez’s walk issues are the result of an injury (is he perhaps still trying to manage his blister issues? ), a mechanical change, or simply a rough start to the season. It’s also hard to know what exactly he needs to do to remedy it. But in any case, limiting walks seems like the key to Sanchez improving on his 4.47 ERA. If he can keep his walks down, his new changeup might make him even more effective than he was in his breakout 2016 season. On the surface, Stroman appears to have been unluckier than any other Blue Jays starter this season. Stroman’s 4.62 FIP and 4.01 xFIP are each over 3 runs lower than his 7.71 ERA. His home run to fly ball rate (1.21) and BABIP (.339) are slightly inflated, and his strand rate is only 52.6 percent — the lowest of any starting pitcher that’s thrown 30 innings in the majors. And unlike Jaime Garcia, he has maintained his elite groundball rate at 60.5 percent. But Stroman is also struggling in many other respects. 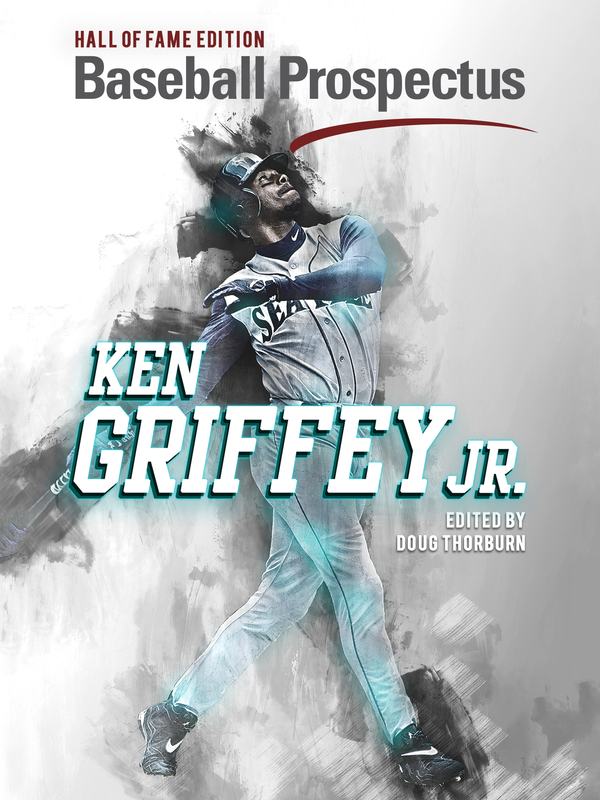 He is surrendering a lot of hard contact – his average exit velocity surrendered of 92.3 mph is third-highest in baseball. By Fangraphs’ hard contact allowed metric, only Matt Moore has allowed more hard contact than Stroman’s 46.8 percent rate. Both numbers are significantly higher than his career averages. By this point in the article it will come as no surprise to read that Stroman is also walking batters at a higher rate than usual, issuing 4.34 walks per nine so far this season. This suggests that his struggles are likely injury-related. Given that Stroman has been dealing with shoulder issues as a far back as spring training, it appears as though injury may be the issue plaguing Stroman in the early going this season. If he can get his shoulder healthy, he should look a lot more like the Stroman of 2016 and 2017. 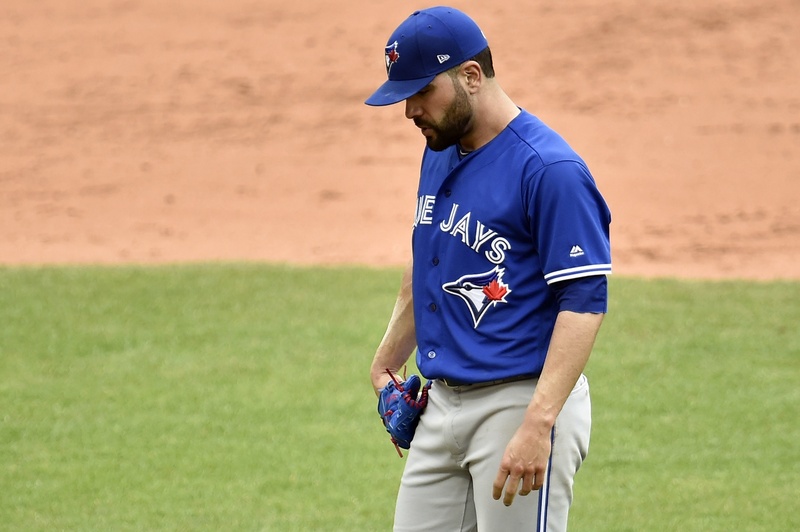 Of all the struggling Blue Jays’ starters, Estrada’s might be the most concerning. Estrada struggled last season to keep the ball in the ballpark, ranking seventh in home runs allowed per nine innings. It isn’t impossible to be successful when surrendering home runs — Estrada was giving up longballs during his successful 2015 and 2016 seasons as well. But even when considering Estrada’s fly ball tendencies, he is allowing more home runs than ever before, with a 1.95 HR/9 rate. It’s also not clear what exactly has caused Estrada’s struggles. He’s allowing more hard contact, but not nearly enough to account for his 5.15 ERA. He isn’t generating fewer swings and misses than previous seasons, either. Estrada has pitched a little bit better since the beginning of May, putting up a 4.18 ERA, but his FIP and xFIP are still hovering around 5. This doesn’t mean the problem isn’t fixable, just that it’s not clear what the problem is. If these pitchers are healthy, they shouldn’t struggle as much as they have so far this season. The increased walk rates of Marcus Stroman and Jaime Garcia suggest they might not have been pitching at one hundred percent when they took the mound. With healthy shoulders, and perhaps a mechanical adjustment in the case of Aaron Sanchez, the Jays rotation could still rebound from their disastrous start to the season. Why didn’t you mention Happ? Is he no longer in the rotation? I didn’t include Happ because he’s pitched well this season and didn’t think his performance merited struggle.